Yes, their rooms might not be so new, and their location is not so good. But with 50 dollars in Japan, how much you can expect. Their staff are very warm. A lot of room facilities for you to enjoy. We didn't get the impression this place was as shady as it turned out to be. They may rent rooms by the hour, but our room was great. It was an enormous room and bathroom space, with a huge bed. It certainly had a number of interesting inclusions, but that just added to the feel of the place. The hotel is a local lovers hotel. So the rooms are big A flash. Big bed for Japan.. Room has a proker machine of some type and an "intimacy products" dispenser and a few other things. Lol. Staff were nice had little signs in English right out to communicate. It's a little way out of the city but if you get the 300 or 305 bus from JR Sendai bus station (just outside the JR Sendai Train station) and travel for 30mins and get off 3 stops after you see McDonald's on the right (McDonald,s is about 1.5klms from the hotel). When you get off you should see a food shopping centre. The hotel can be seen from the bus stop, just one street back and to the left of the supermarket. Bus is 320 Yen one way. Taxi is 3300 Yen one way from the Sendai JR Station. The hotel was a bit of a novelty and certainly was worth the money. If your into Japanese cars, there is a "Up Garage " on the corner near the hotel. It's a huge 2nd hand car part store but like no other you might of seen before. Complete spoiler and side skirts for a Subaru wrx for 900 Yen as am example. It's a mixed bag of things this place but if you don't mind the bus then this is a good base while in Sendai. My 20 year old son and I stayed at this hotel because there were no others available during the week prior to moving him to his college dorm for study abroad. This is, however, a hotel for lovers, equipped with a lingerie vending machine karaoke machine, slot machine and built in vibratory that comes out from a cord behind the bed. We laughed and enjoyed our stay-just making note of this so others are forewarned. Although the staff does not speak English, they were very helpful and had yes/no questions printed for us to nod our answer to which was incredibly helpful. They were very kind. The bus stop is about a mile away. We walked there (McDonald's is closest it was a great way to start the day with breakfast) cabs are very expensive in Sendai, so I recommend travel by walking, bus or train. Nothing, except McDonald's, is open until 10 am and most shops close around 7pm, so make the most of the limited hours of you want to get some retail therapy in during your visit! There is no need to bring bath products! They have a wonderful jetted tub and provide high end (Shiseido) shampoo, conditioner, style products, razor, brush, hair bands... You name it! We really enjoyed our stay and looked passed the vibratory with a giggle. Big bed and great hot tub! Although it's far from the city center, it was cool seeing the suburbs of Sendai. Good breakfast. The hotel is pretty funky. Our room came complete with a slot machine, karaoke machine, and a lingerie vending machine. We didn't make use of any of them, but we did use the tub. It's very big and has jacuzzi jets as well. We had a great stay! Large modern bathroom with lots of interesting extras. 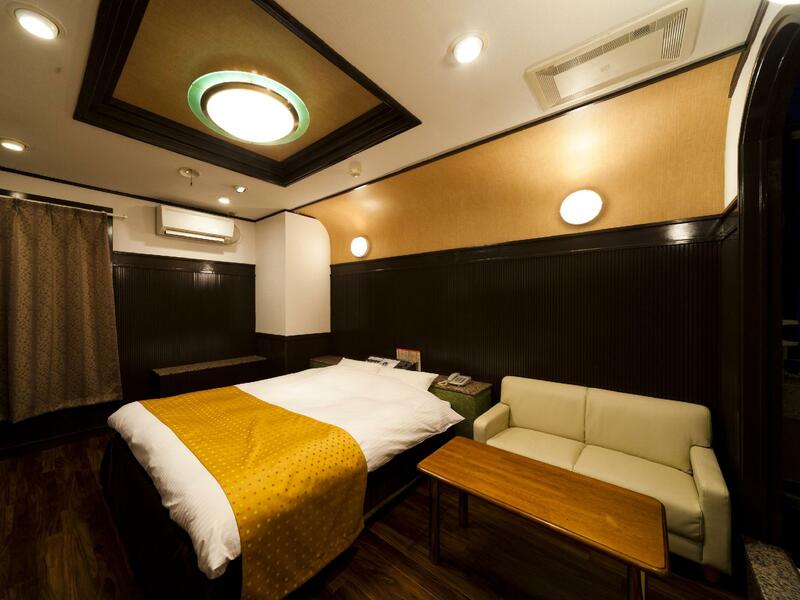 This is a couples (love) hotel. That was not clear when we made the booking. It was actually a very nice room, but rather awkward for a family trip.